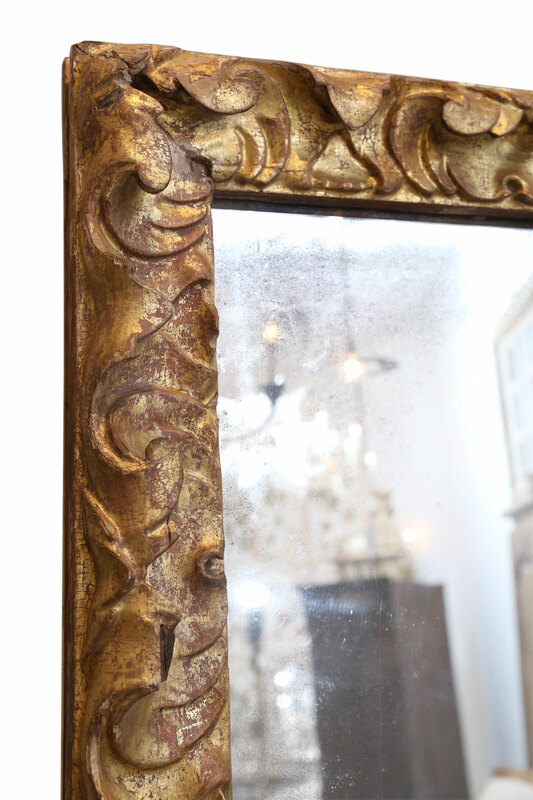 Late 18th century Portuguese mirror hand-carved in giltwood – beautifully and naturally worn with exquisite patina. 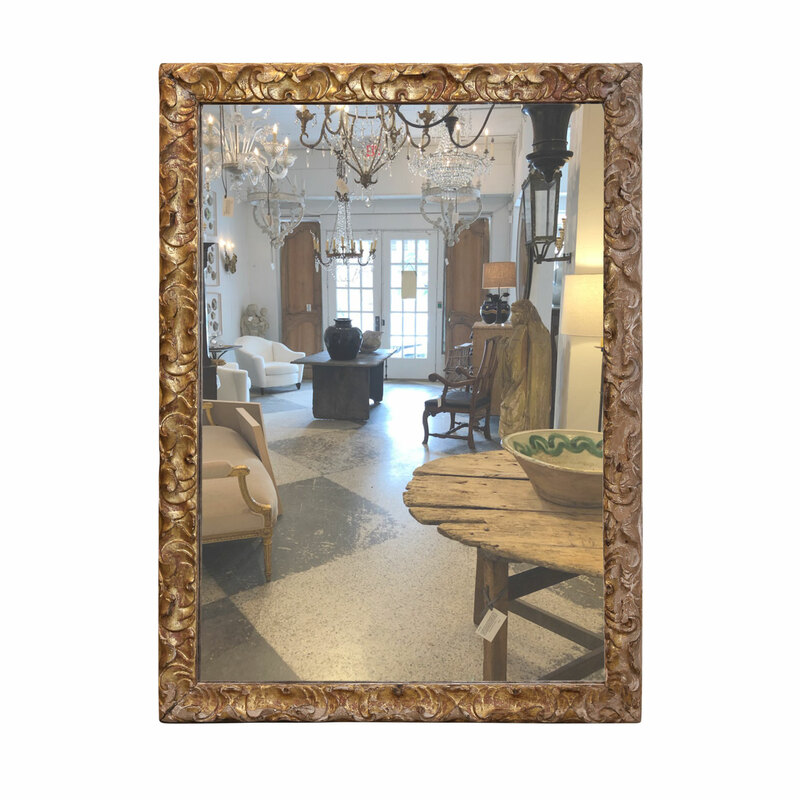 Mirror plate not original. 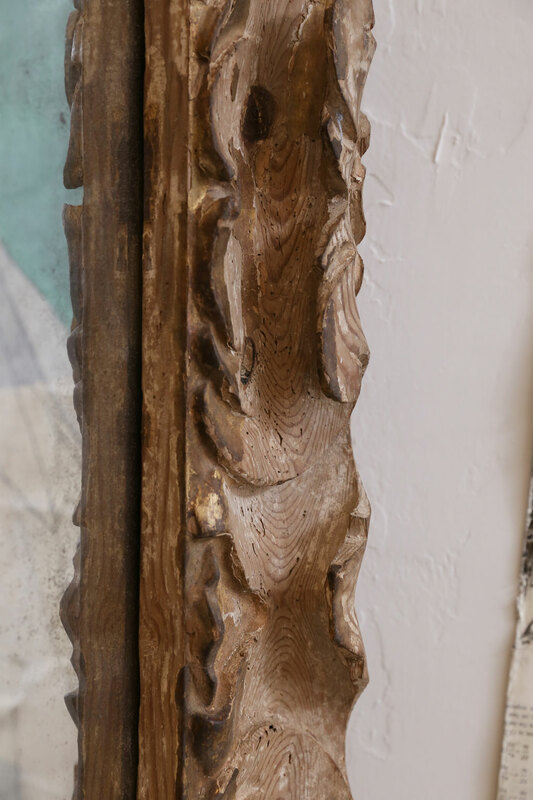 Condition: GoodVery minor small parts of the carved wood missing. 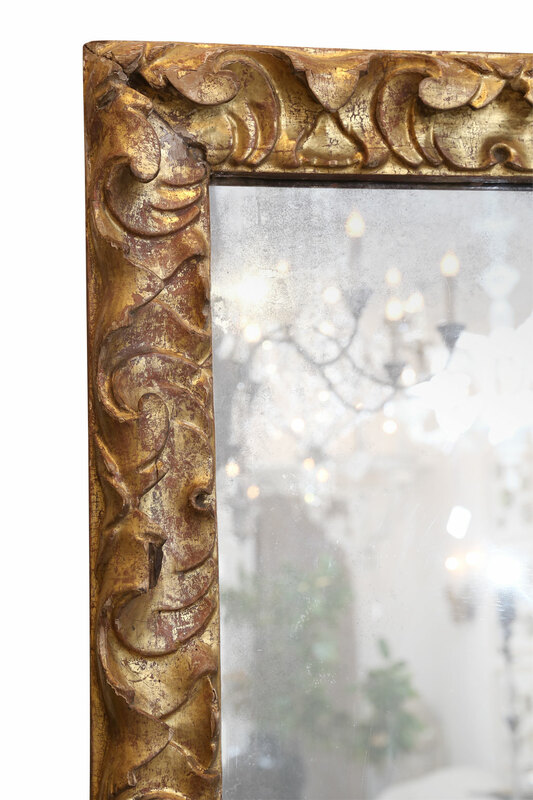 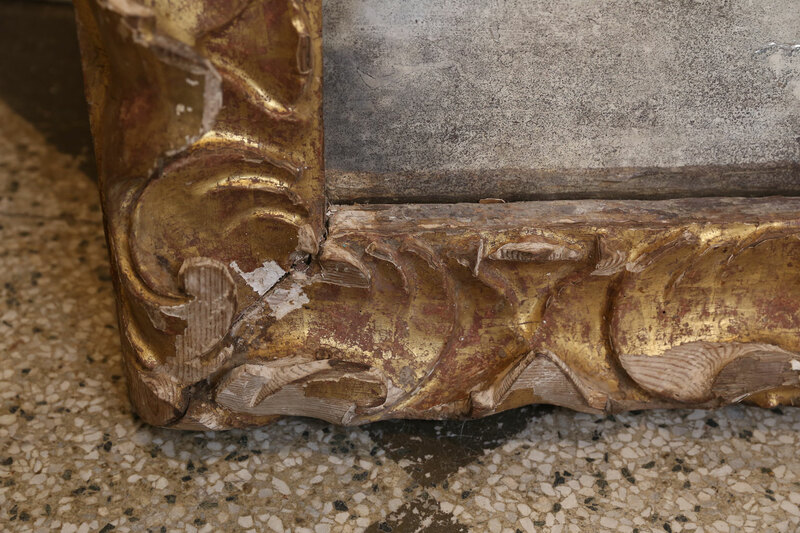 Losses to gilded finish - more pronounced on one side of the frame - see pictures.